Each day can be thought of as a race or competition, which only compels comparison. Comparison can motivate but it can also lead to pridefulness and or self-doubt. God’s love is inseparable no matter what our predisposition is. Experience the communal love and Joy of Christ by coming together to run for Jesus and by families bonding over a traditional Easter egg candy hunt. 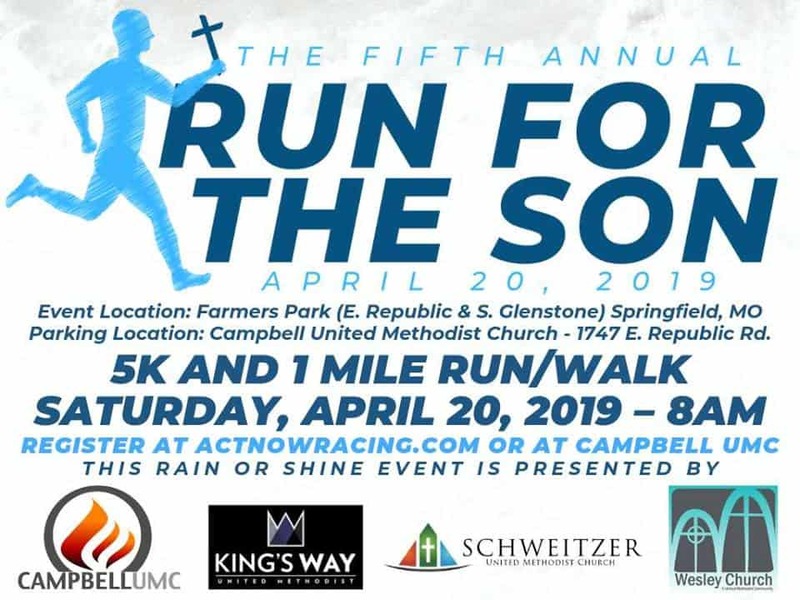 Run for the Son is a joint fundraiser between the children’s ministries and preschools at Schweitzer, Wesley, Campbell, and King’s Way. The 5K and mile run will begin at 8:00 AM at Founders Park. The Easter egg hunt will follow the fun.